In August 2015 the MSA (Motor Sports Association) banned the use of helmet and chest-mounted cameras following concerns about safety. 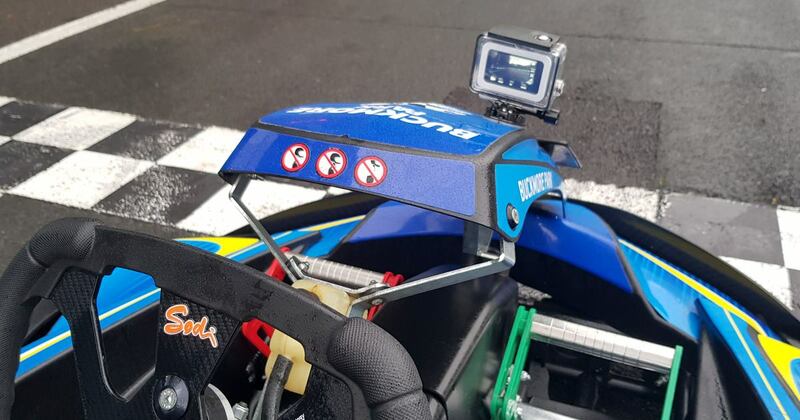 This change in legislation and the latest guidance from the NKA (National Karting Association) left us with no choice but to also ban the use of helmet & chest-mounted cameras. However, all is not doom and gloom for Go-Pro (or similar) devotees. As regular customers will already know, we have long been happy to accept shoulder-mounts (fabric, not hard plastic) provided these are specifically designed for their particular camera. 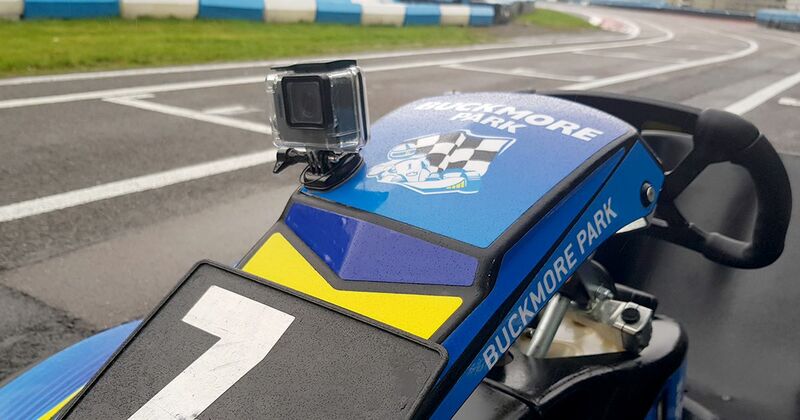 But, we at Buckmore Park are always looking to pioneer new ways to improve our customers' experience and we are happy to announce that following successful trials and tests, we can now offer Go-Pro users the opportunity to mount their cameras to the karts themselves rather than on their person. 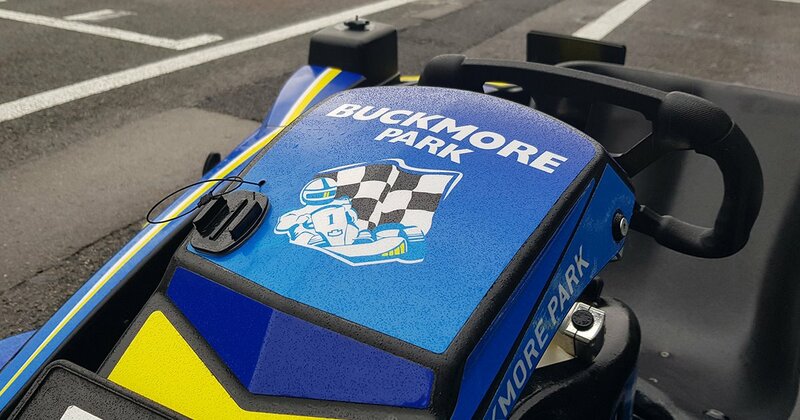 From October 2018, we have installed dedicated camera mounts and tethers on both our Adult & Junior fleets of karts. This allows users to simply clip their devices straight onto the mount and loop the tether over the base of the camera for added security. Why did the MSA ban helmet cameras? The MSA has concluded that helmet mounted cameras (or even just the mount) provides a potential concentrated impact site, and it would also invalidate the helmet approval/homologation. Our other governing body, the NKA have asked that tracks risk assess their own use of helmet mounts. However, with the speeds reached in our hire karts, added to the potential for a driver to be ejected from the kart, however, low it may be; we have no choice but to deem this risk to be high enough for concern. In answer to the inevitable question “But It’s my own helmet”, we cannot willingly allow any driver to use equipment that had the potential to cause harm, or that was not deemed to be safe.